There have been many people who have been saying that there are no jobs in Malaysia for biotechnology graduates. While this may be partly true, Malaysia has some development as described in the article below. I would personally recommend to students who have a passion for biotechnology not to give up their dreams but to pursue a biotechnology degree course at a reputable university in Malaysia with excellent facilities such as Taylor’s University, UCSI University or Nilai University and then go on to your Masters degree. Graduates may go to Singapore to find work in biotechnology. Singapore is very established in their biotechnology with the setting up of Biopolis and Tuas Biomedical Park. To work in the biotechnology field, students must go for at least a Master degree and go for the Ph.D if possible. country’s social and economic development in pursuit of the status of a developed nation. For this purpose, the Government launched the National Biotechnology Policy (NBP) in year 2005 to further develop three economic sectors namely agriculture, healthcare and industrial manufacturing, as well as to support the growth of an enabling eco-system throughout the scientific, academic and business communities in the country. After STPM I was searching for the right university to accept my results to pursue my dream but couldn’t find until EduSpiral helped me. Refers to all economic activity that is derived from the continued commercial application of biotechnology. Encompasses the production of renewable biological resources and their conversion into food, feed, chemicals, energy and healthcare wellness products via innovative and efficient technologies. The vast socio-economic potential offered by bioeconomy has spurred countries such as United States, EU Countries, South Africa, China, Australia, Canada, Finland and Russia to launch bioeconomy initiatives. Malaysia is the 2nd in Asia after China and the 1st in ASEAN to establish its own national bioeconomy initiative. As of 2010, Bioeconomy as a whole contributed up to 13.4 per cent of the total Malaysian Gross Domestic Product (GDP), a contribution equivalent to RM106.7 billion. This value encompasses economic impact from all sectors of economy that could possibly benefit from application of bio-based technology, like agriculture, chemical production, as well as oil and fat processing. At a stimulated 15% annual growth, the size of the Malaysian Bioeconomy sector is projected to grow to RM149.1 billion in 2020 and RM181.2 billion in 2030 respectively. 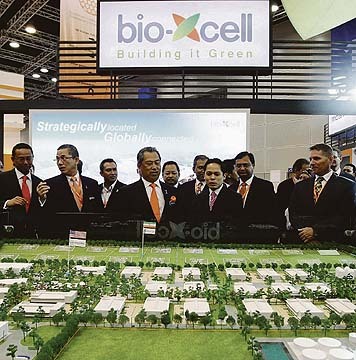 BTP is part of the economic transformation programme, launched by YAB Prime Minister, Datuk Seri Najib Tun Razak on 30th October 2012 to further develop the bio-based industry in Malaysia. It is in line with the objective of the government to develop Malaysia into a high-income nation by the year 2020. BTP is targeted to contribute RM48 billion of the Gross National Income (GNI) in 2020, promote 170,000 of job opportunities and attract RM50 billion in investments by 2020. Since the launch of the BTP in October 2012, BiotechCorp continued to identify high-impact bioeconomy projects within the bio-based industry that would contribute to these targets. As of October 2015, a total of 48 Trigger Projects had been identified for inclusion into the BTP. environment is able to continue to draw global companies in the pharmaceutical and life science industries. Biopolis at one-north is one of JTC’s key projects to boost the biomedical industry as Singapore’s next engine of economic growth. Given the industry wide challenges facing the pharmaceutical and biotech markets Singapore has established itself as a highly conducive place to undertake research. Singapore has cultivated a network of government agencies, R&D infrastructure, access to diverse talents, hospitals, universities, CRO’s and manufacturing facilities, which has allowed a highly innovative culture to develop. With this expansion comes the creation of many new jobs across the sector and the increase in employment opportunities has created great job prospects for local pharmaceutical and biotech professionals, as well as those wishing to apply their expertise in the global market by moving to Singapore. Who works at Biopolis Singapore? 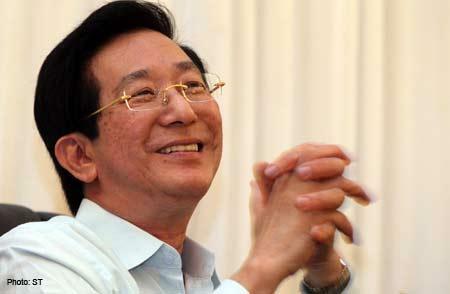 Philip Yeo, the mastermind of the Biopolis, a new biomedical research hub in Singapore has recruited about 100 other stars from academic medicine. Among those recruits are the British experts Alan Colman, who helped clone Dolly the sheep in 1996 and now focuses on diabetes, and David P. Lane, who discovered the p53 tumor-suppressor gene. 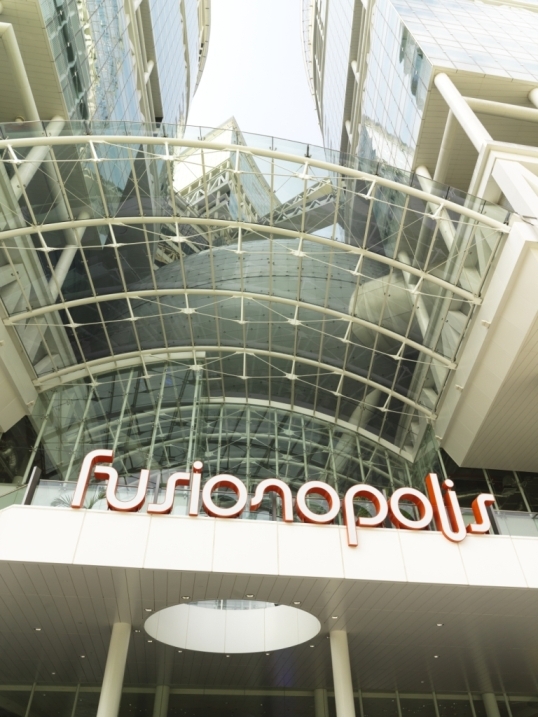 Today, about 10,000 people from more than 50 nations are employed at the Biopolis, which has grown to seven buildings since 2003.
and private biomedical research institutes and organisations. When fully developed, the Biopolis will anchor the development of the entire research and development (R&D) value chain of life sciences. This will encompass basic drug discovery, clinical development and medical technology research. Biopolis provides researchers with cutting-edge shared facilities such as laboratories for DNA sequencing, flow cytometry, mass spectrometry and nuclear magnetic resonance staffed by trained technicians. Business support facilities such as meeting rooms and theatrettes are also available for rent. The goal is to help biomedical companies cut R&D capital spending so they can focus the investment on accelerating drug discovery and development. Phase 1 cost S$500 million to build and was launched in 2003. It provides 200,000 sqm of research space which is now home to more than 2,000 scientists, researchers, technicians and administrators. The research community is fully supported by state-of-the-art infrastructure and services catering to the full spectrum of biomedical R&D activities. laboratory) which caters to biomedical SMEs and start-ups through saving the companies time and resources during their initial setup phase. Today some 4300 researchers and scientist are conducting BioMedical Science research in Singapore! and joins a number of important medical device companies. Today these companies and many more manufacture over S$21bn worth of medicines, nutritional products and medical devices for the global market. Specifically, biologics, rare and tropical diseases all feature highly among growth investment areas in Singapore. Procter & Gamble (P&G), the world’s leading consumer health giant, has taken up the entire Phase 4 of the Biopolis for its Singapore Innovation Centre. The S$250 million Innovation Centre will undertake strategic upstream corporate research through collaborative research with A*STAR, focusing on new innovations for consumers. The facility will house 400 researchers when fully completed in 2013. Novartis, which plans to move its Institute for Tropical Diseases into one of two Biopolis buildings designated for private tenants, is fulfilling both counts. 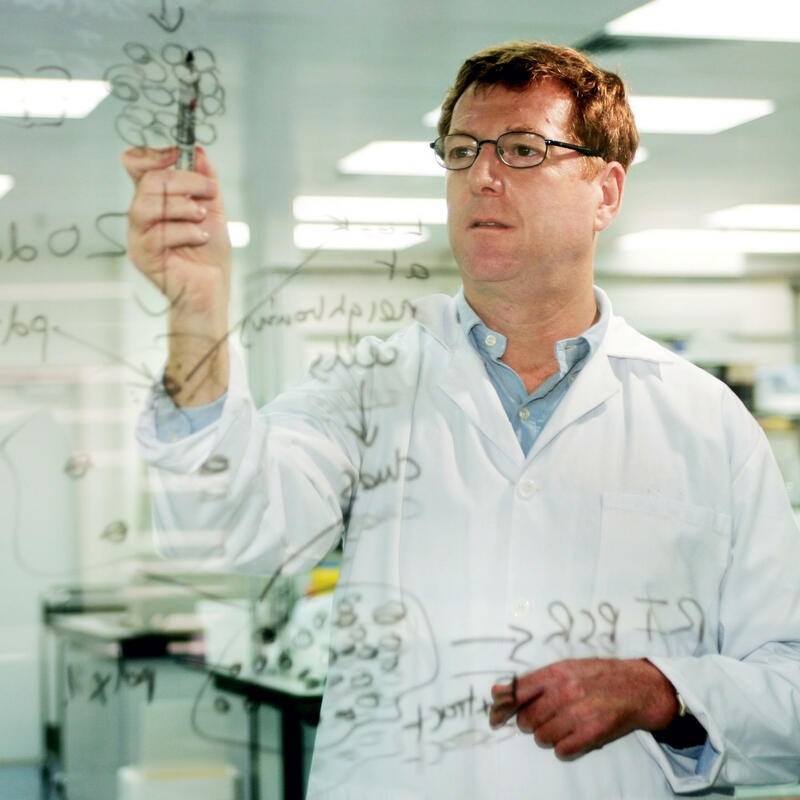 The institute’s director is Alex Matter, former head of oncology research at Novartis, who spearheaded the development of the cancer drug Gleevec. tuberculosis, malaria and dengue fever close to where these diseases are most prevalent, said Paul Herrling, head of corporate research at Novartis International A.G. This work requires an understanding not only of molecular biology, but also of the cultural environment that may impede prevention and “how doctors in the region think and use medication,” he said. 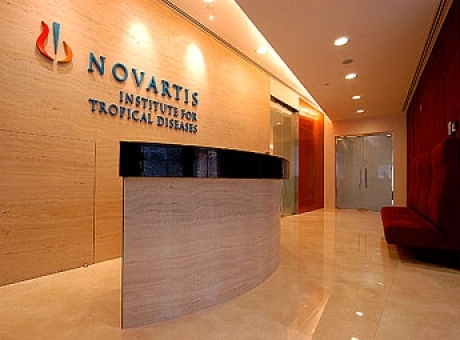 Although Novartis is a major tenant, a significant amount of space at Biopolis will be taken up by five research institutes run by the Agency for Science, Technology and Research (A*STAR) — the Genome Institute of Singapore (GIS), the Institute of Bioengineering and Nanotechnology (IBN), the Bioinformatics Institute (BII), the Institute of Molecular and Cell Biology (IMCB) and the Bioprocessing Technology Institute. major pharmaceutical, biotechnology and medical technology companies. Located at the western tip of Singapore, the TBP is only 60 minutes from Changi International Airport, 5 minutes from the Tuas Checkpoint to Malaysia and 20 minutes away from Jurong Port. The 312 ha TBP is strategically located to provide companies with access to skilled talent, research expertise, and air and sea logistics. manufacture of active pharmaceutical ingredients (APIs) and novel medicines. Both Pfizer and MSD GmbH have partnered Tuas Power, a leading Singapore based energy and utilities solutions provider, to develop state-of-the-art trigeneration facilities. TBP is home to a host of global biomedical players, including GlaxoSmithKline, Lonza, MSD GmbH, Novartis, Pfizer and Roche. We still have hope on iskandar project. A company like biocon already established here. We are still waiting verdezyne, metex, glycosbio to start construction for their facilities here. I am studying biotechnology n molecular bioscience in undergraduate program at Rochester Institute of Technology, NY. If possible, I want to continue graduate studies in Malaysia. I would like to know which universities are the best in graduate biotech studies n maybe, offering training in attachment to any Malaysia coorporation? Sorry, I only know the information for private universities. You should choose the public universities. I guess you can contact UM or USM. So isn’t true about biotechnology is mainly about sales,lecture,research?